Stetson University College of Law in Gulfport, Florida and a Master’s in Business Administration from Stetson University in Deland, Florida in May 2013. While at Stetson, John participated in Stetson’s pro bono program and was a member of the Phi Alpha Delta Law Fraternity. Before attending Stetson, John attended the College of William and Mary located in Williamsburg, Virginia and received a Bachelor’s Degree in Business Administration majoring in Finance. John was admitted to the Florida Bar in September 2013. John Richert does not have any reviews yet. 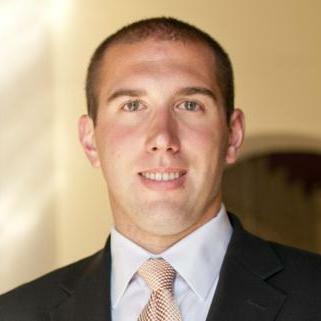 John is experienced in probate, probate litigation, civil litigation, business law, and professional license defense. John’s litigation experience and business oriented mindset ensure that our client’s needs are met in an efficient manner, and that you have the information you need to make decisions that affect your legal rights in a cost efficient manner.